Craving the spices and flavors of Mexico? You’re in luck! No matter if you’re hankering for nachos and salsa, or just have to find the perfect tacos, you’ve come to the right place. Maryland has a number of great Mexican restaurants to choose from, so here are a few that we found to have something a little more authentic, unique or tasty. If you were looking for a great place to eat Spanish and Mexican cuisine, this is your spot. 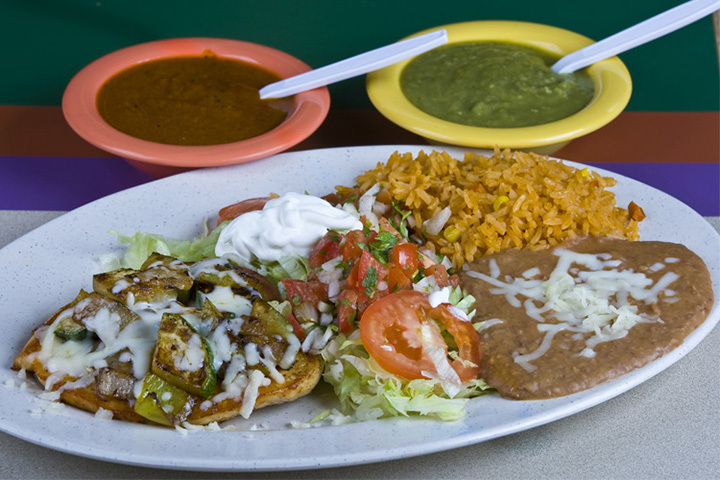 Jalapenos serves some of the most delicious Mexican food and South American cuisine this side of the border. With its classic decor and food that’s to die for, Jalapenos is the place to go for a quick, and inexpensive, lunch or for a romantic dinner. Try the Ropa Veja and let us know how much you loved the fried plantains. One would never imagine that you can find some of the best Mexican food at a little shop in Glen Burnie, Maryland. But this well-kept secret has been a favorite of locals for many years. The foods here speaks to a level of passion and creativity while catering to a diverse crowd that loves authentic Mexican food. Come in for the tacos, bring the kids to sample their children’s menu, and discover why Los Portales is one of Glen Burnie’s hidden treasures. If you are looking for authenticity, look no further than Mari Luna in Pikesville. It is here that chef and restaurateur Jamie Luna has established one of the most authentic and satisfying Mexican restaurant experiences in Maryland. After a storied career in the culinary field, Jamie started this restaurant to bring food from his native Mexicali to the world. Family owned and operated, you’ll see the Luna family working hard to make sure this is a memorable experience, and with food this good it is an experience everyone will enjoy. There is nothing quite like stepping out of America and into a Mexican fiesta just by opening the door and walking into a restaurant. This is the experience you will have when you step into Mi Pueblo. This family run restaurant caters to those who want two things, an authentic Mexican dining experiences and outstanding food. With a robust menu, cooked from local ingredients, Mi Pueblo is definitely the place to go to get your fix of south of the border atmosphere, without ever leaving the country. Nothing says truly authentic Mexican food than a joint that is working hard to recreate Mexican street food. Papi’s Taco Joint is doing exactly that at Fells Point in Baltimore. Located in the bustling Broadway market, this is a place that you have to visit if you want to taste food that captures the essence of Mexican street food and food trucks. Along with signature cocktails and a terrace inspired diner, you will get that taco experience right here in Baltimore. Located in Rosedale, this is a restaurant that you want to take the family to. It is extremely kid friendly, and the reviews are off the charts. Come in and try the carnitas, which have been billed and recommended as some of the best in Maryland, and the owner has a reputation for working with customers to create special dishes. Try the guacamole, and don’t forget that there is a reason they were voted the best taco joint in Maryland. Locals love this Mexican/Latin café that is known for having killer flavors and tasty margaritas. This is Mexican food Miami-style and it’s delicious. They use only fresh ingredients and you can taste the difference between restaurants that buy things frozen. The freshness of the food allows the flavors to really pop and makes for an incredibly delicious experience. You may have seen R&R Taqueria on Food Network. They first became famous on “Diners, Drive-Ins, and Dives” but have since been featured multiple times. They even won a Food Network Top 5 Restaurants Award. The food is fantastic and served in a small restaurant connected to a gas station. It’s the type of local find that everyone wishes to discover but few ever do. You have to eat here. Seriously. A local hot spot, this Mexican restaurant is great for lunch, dinner or catering your next party. They have lunch specials daily that are cheaper than eating a combo meal at a fast food chain. You can get a burrito, rice and beans for under $5. That alone makes it worth the trip but when combined with flavorful recipes and friendly service, it is easy to see why locals keep coming back. This is tasty, authentic Mexican food that you can’t get enough of. In addition to the staples and fresh seafood, you can also order Mexican street food like camaron con chorizo and street nachos. They have several locations throughout the state but are still locally owned and it shows. This is not a typical chain Mexican restaurant but a family-friendly joint where locals and tourists like to eat.